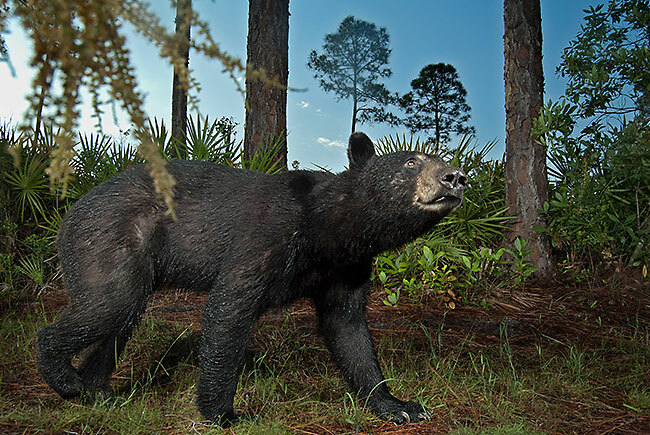 A Florida black bear ambles down a firebreak in a forest of pine and palmetto, where a camera trap set by expedition photographer Carlton Ward, Jr. is waiting. 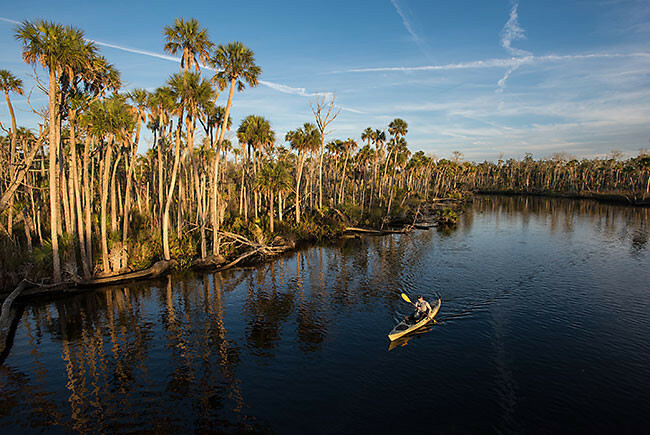 Joe Guthrie paddles a kayak down one of the many creeks of the Chassahowitzka National Wildlife Refuge, a key protected area along the Nature Coast of Florida. The Expedition team paddled down the Suwannee River near its delta with the Suwannee Sound and Gulf of Mexico. 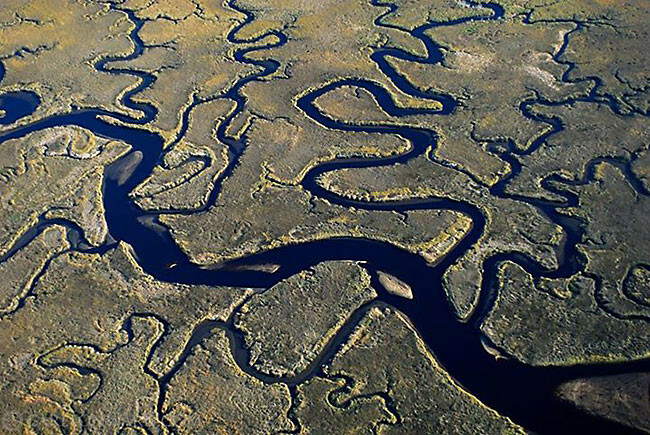 This aerial view of the of the delta is only 12 miles north Cedar Key. 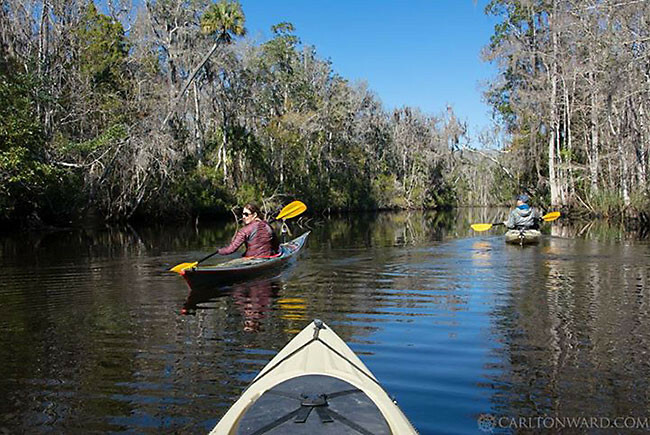 On day 18 of the Florida Wildlife Corridor Expedition, Mallory Dimmitt, Joe Guthrie and Carlton Ward Jr paddled down the Suwannee River toward the town of Suwannee. 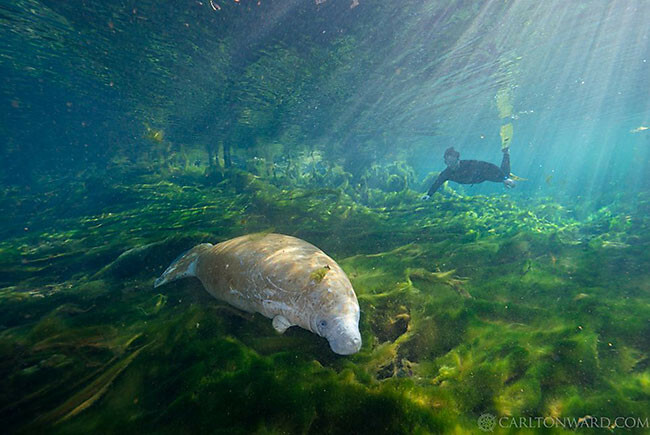 Joe Guthrie snorkels with a young Florida manatee at Manatee Springs State Park on Day 20 of the Florida Wildlife Corridor Expedition. During Week 3, the Florida Wildlife Corridor Expedition team arrived at Florida's Nature Coast. According to team member Joe Guthrie, the Nature Coast is a place where "the loss of habitat and the impact of highways has left a small population of Florida black bears stranded in a shrinking envelope of habitat, squeezed between the Gulf salt marshes to the west and big roads and strip malls to the east. This is where we find the Chassahowitzka black bear."